The Také Pet Serving Cabinet provides elevated bowls for food and water. Veterinarians agree that dogs should not be fed from the floor but fed and watered from an elevated position. The raised bowls are especially helpful to senior dogs. 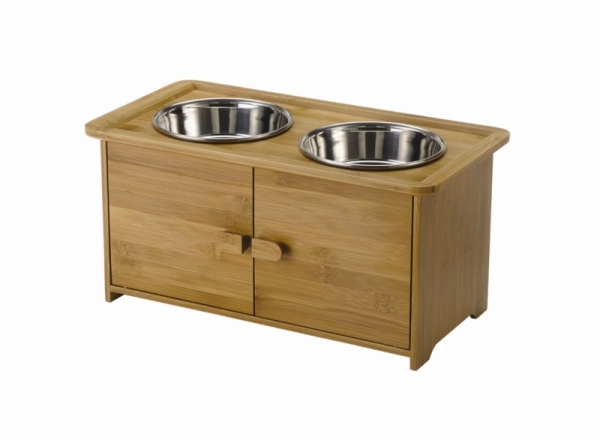 All dogs will enjoy this beautiful serving cabinet while eating and drinking from the raised bowls. 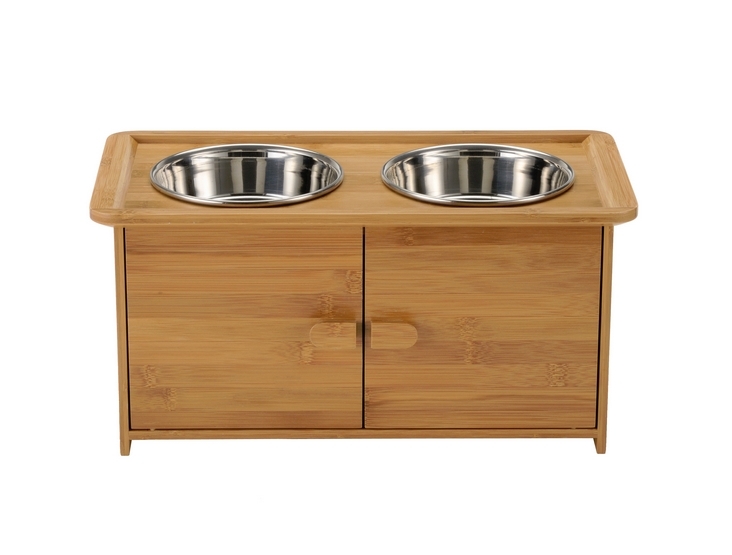 The Také pet serving cabinet includes two stainless steel bowls. It is recommended for medium to larger size dogs. This beautiful pet serving cabinet arrives at your door ready to use. It has a convenient storage area below the elevated bowls. This beautiful Také serving cabinet is from Richell USA and is just one of their many very special bamboo pet products. It is a product you will be proud to own. No assembly required! Dimensions: 18.1" x 9.5" x 8.9"